Students returning to the Ashland University campus on the move-in weekend of Aug. 25-27 will notice numerous campus improvements accomplished over the summer. Classes are set to begin Monday, Aug. 28. Ashland University President Dr. Carlos Campo praised the work of both contractors and AU personnel involved in the various projects. The most visible improvement this summer occurred at the intersection of Claremont Avenue, King Road and College Avenue, where the overall design of the intersection was upgraded for aesthetic reasons as well as to benefit the safety of students. 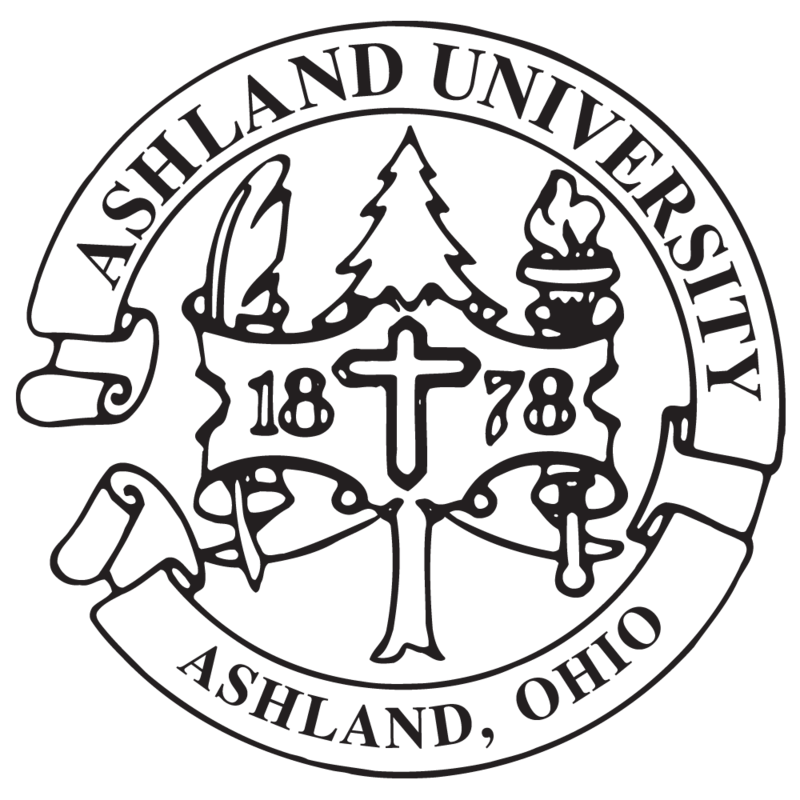 The city of Ashland also will replace the traffic and pedestrian signals later this fall in conjunction with the University’s work at the intersection. “We installed a brick patio and opened up the intersection there to make it a safer intersection for students as they wait for the light to change in order to cross Claremont Avenue,” said Rick Ewing, vice president of operations and planning. On the other side of the intersection east of the Miller Chapel, students will notice more construction as work continues on the Prayer Garden that will be finished for its dedication as part of the Homecoming celebration in October. This grassy area is being converted into a quiet and serene oasis on campus. One of the most visible interior changes this summer took place in the Student Dining area in the lower Convocation Center where the “fishbowl” area was removed and replaced with a modern, bar-like additional seating area with outlets and USB ports for phones and laptops. Upgrades were also completed at the COBE Café in the Dauch College of Business and Economics as well as new furniture in the College’s lobby area and renovations to the Ridenour Room. New carpeting also was installed in the music department in the Center for the Arts. Across main campus, a total of 320 mattresses have been replaced with new ones, as well as 40 new mattresses on the College of Nursing and Health Sciences campus in Mansfield. The Kettering Science Center as well as AU’s Columbus branch received multiple technology upgrades in their classrooms. Students living on the fifth through eighth floors of Amstutz Hall as well as the sixth and seventh floor of Kem Hall will notice the installation of new lobby furniture, and both buildings received some new paint; while new study desks were installed in Kilhefner Hall. Also, a total of 16 new dining room chairs were replaced in the Senior Apartments. Looking over to Olympic Circle, the Phi Delta Theta fraternity house has undergone a summer long upgrade with new hallway carpet as well as new hardwood floors in the kitchen and living room and new paint. Much of the work was completed and funded through the help of AU Phi Delta Theta alumnus Tony Magistro, a 1970 graduate, as well as several other alumni. Also, the deck along the back of the Phi Kappa Psi fraternity house was replaced this summer. 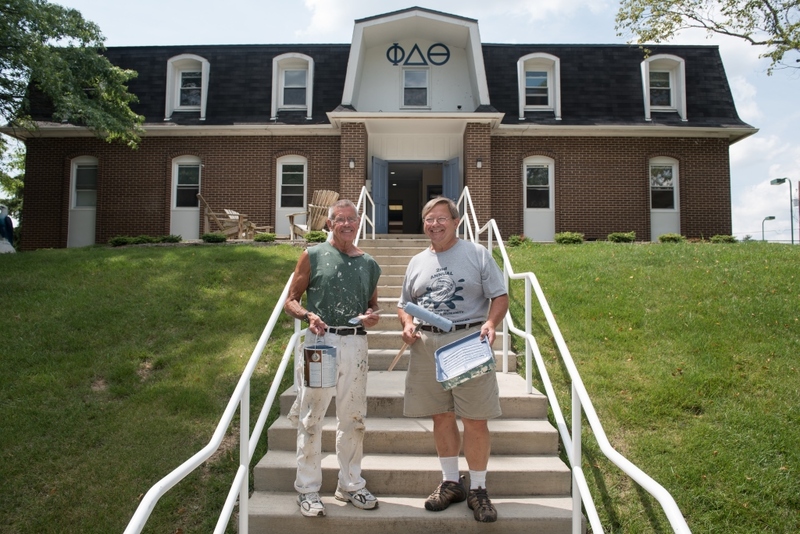 The photo at left shows Magistro, at right, and fellow 1970 alumnus Ron Whitehill posing in front of the Phi Delta Theta house. Other improvements were made to the Stadium Playground and work is continuing on the entry way to the Gill Welcome Center and installation of a new patio fire pit behind the Hawkins-Conard Student Center.